Over 1,000 recruitment organizations reach out to their workers and candidates using Icetrak’s one-way or two-way text messaging. Engaging with contacts quicker, more discreetly and more cost effectively than phoning and emailing will give you an immediate competitive edge when placing candidates and securing contracts. 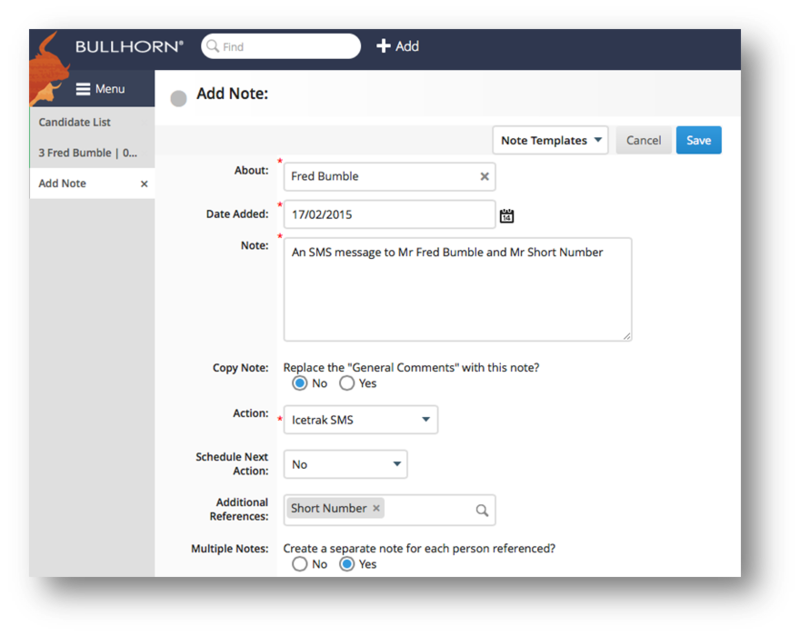 Sending a batch of text messages to your Bullhorn contacts is simple and ultra fast. Icetrak will deliver over 90% of your messages inside 10 seconds and experience shows that people who receive this type of text message will act on them quicker than if you had called, left voicemails for or emailed them. The results are a reduction in the time you take to place candidates or fill contracts, less expensive calls to mobile lines, and more time for business development.